MIDAS Ireland (May) Meeting – Cork- kindly hosted by Boston Scientific Cork. 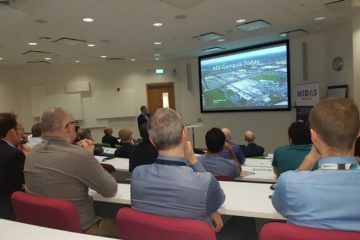 MIDAS Ireland (June) Meeting – Galway – kindly hosted by ARM – Venue TBC. MIDAS Ireland (September) Meeting – Cork – kindly hosted by Tyndall National Institute. MIDAS Ireland (October) Meeting – IT Carlow – kindly hosted by IT Carlow.